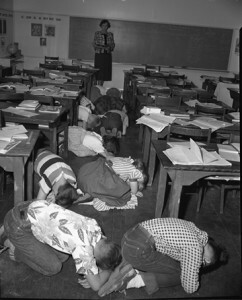 EnviroReporter.com commenters do not duck and cover. EnviroReporter.com has had a wide variety of excellent comments since we unveiled Version 2 of the website on July 22, 2009, redesigned by our editor Denise Anne Duffield. Our work was soon improved by comments from some very smart, articulate people. Who are these people? Perhaps it is appropriate that our first comment was by the man who in 1979 discovered the Sodium Reactor Experiment 1959 meltdown, Michael Rose, a filmmaker we interviewed in “Ghost of a Rose.” We soon thereafter heard from a gentleman who runs the Chino Hills-related website Carbon Canyon Chronicle which serves that community well. Some of these folks are sparkling writers like Joan Trossman Bien, D’Lanie Blaze, and Margery Brown. Others are devoted activists like Christina Walsh and Bill Bowling. Joan Trossman Bien is an oft-published journalist who has an excellent piece in this month’s Ventana Monthly, which is the magazine of “fine living” in Ventura, and has written extensively for one of our favorite newspapers, the Ventura Country Reporter including this July 7 cover story that sparked quite a reaction. Look for Bien’s upcoming work on the 1959 meltdown of Rocketdyne’s Sodium Reactor Experiment to be announced on EnviroReporter.com. D’Lanie Blaze runs Jailhouse Graphics and is a prolific graphic artist with superior wordsmith skills. That helps because she has been fighting the battle to make sure that all workers made ill by radiation at the Santa Susana Field Laboratory are compensated for their injuries. Blaze has created The Aerospace.org to just that end and, as you would expect with D’Lanie, the website is a real eye-opener. Margery Brown is the kind of writer that knows how to cut to the chase and get right to the meat of the matter. A probation officer for youth by trade, Marge is the kind of writer that constantly surprises with her cogent and sometimes biting comments. She is a delight to read! When you see a comment by Marge, read it and you’ll get a good idea of what I mean. William Preston Bowling has several fascinating websites including H2Oh No!!! This is the name of a film Bill created about Rocketdyne contamination that was screened at the Topanga Film Festival in 2005. Denise Anne and I met Bill at the festival as well as his wife who is known as Roxy Cotton of the Los Angeles Derby Dolls. Bill, president of the Malibu Association of Realtors, founded ACME in May, 2008 and the center has had numerous notable events for the public as well as serving as an informal base for government officials involved with the Santa Susana Field Laboratory. There a number of other people commenting on EnviroReporter.com who have also enlivened this news website. These near real time exchanges serve to make understanding of the issues we cover more robust and informed. Content is king and what these folks bring to the table is reflected in their words and on their websites. That’s why Denise Anne and I have just added the links to these remarkable people’s sites on our Resources page for your convenience. We also appreciate the people who don’t comment but contact us with questions, concerns and tips. One such gentleman is a U.S. Navy instructor teaching young sailors the dos and don’ts of operating a nuclear reactor. He had a few questions for us about the Sodium Reactor Experiment (SRE) that we were all too glad to answer. The U.S. Navy has accumulated over 5,400 “reactor years” of accident-free experience, and operates more than 80 nuclear-powered ships, according to Admiral F. L. “Skip” Bowman, U.S. Navy Director, Naval Nuclear Propulsion Program, before the House Committee on Science in October 2003. Aye Aye, sir. 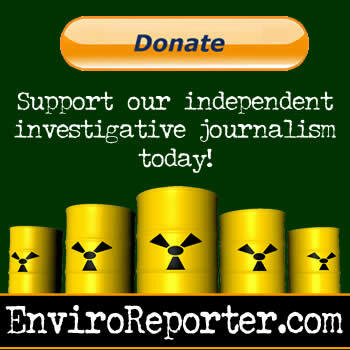 And a salute to the people who are making the continued development and expansion of EnviroReporter.com so exciting. 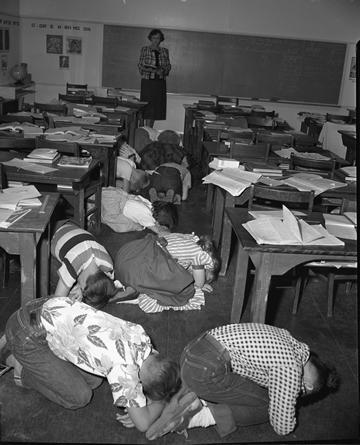 Thanks Michael, and you are right: Duck and Cover is just not a solution to anything!